Bulk Nut Trees: Last Day of Sale! Hardy, disease resistant nut trees from Mark Shepard - on sale until Feb 8, 2018. Yup, it's the last day of our 2018 bulk nut tree sale. If you've been sitting on the fence, time to go for it! Below I've pasted in the email I sent last year about protecting nut trees (and any trees, really) from various pitfalls you might run into. Good tree protection is partly about knowing the animal pressure on your site, and making management decisions that allow your trees to thrive. It's also being as prepared as you can. don’t forget, the sale on bulk nut trees ends today, Thursday, February 8 - and this is the last reminder I’m going to send about it. 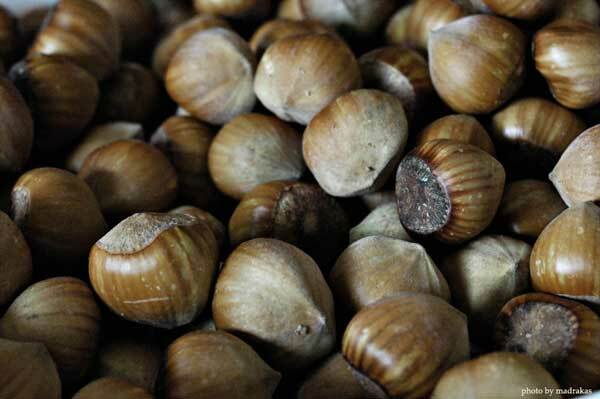 Buy 5 or more single nut trees and receive 20% off all the nut trees in your order! It's almost impossible to avoid some damage from 'varmints', and/or 'critters'. I typically prune the tree back to a healthy bud, taking off damaged bark and broken branches. If the tree is girdled, there are grafts you can do by taking tiny pieces of cambium from other parts of the tree, and creating channels so that sap can flow up and down the stem. In my opinion, this operation should be reserved for only the most precious trees, as it's labour intensive and risky. In most cases, I would prune to below the girdle. Cross your fingers, and hope the tree has enough energy to grow from that top bud, or in the case of a really low girdle, from the root ball below ground. They often do. With multi-stem shrubs like hazels, or trees that coppice well (such as both hazel and chestnut), you could have pretty good luck with them recooperating from damage. Especially on the heels of 2016 (and 2017), drought is a major concern. What if you get your trees all planted, and then we head into one of those 1-2 month long periods of practically no rain? My recommendation is to have a back-up way to water your trees. This might just be being prepared to purchase or re-purpose some drip line, or it might be making sure your hose can reach far enough to manually water. ALSO - and this is a big thing that I've not had the opportunity to do quite yet - if you can plant your trees and shrubs along a swale that's catching water, the thought of a killing drought might make you laugh. I plan on doing keyline design and examining the way water moves on my land heavily before planting certain areas. I was speaking with someone recently who said they didn't lose any of the trees they planted along the edge of a swale after 2016's drought - the swale caught enough water that this wasn't a problem for them. Oh yeah - and we also have listed all our other new items for Spring 2018 - so you can have a peak at those, and pre-order those as well. They are eligible for the sale to get you up to $1000.